Gloucester City Hall contains several paintings by Charles Allan Winter. “The Founding of Gloucester” was painted in 1934, with funding from an unknown federal agency. 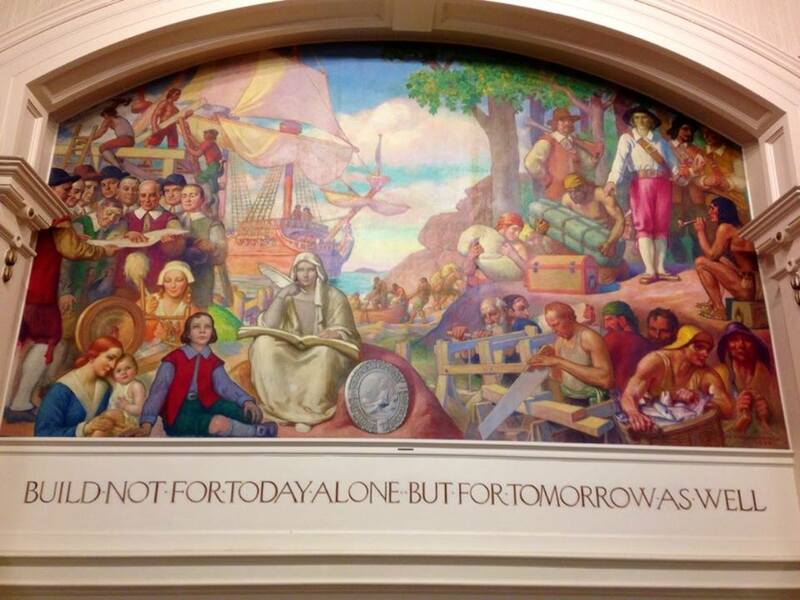 “Education” was painted in 1935 with funding from the WPA Federal Art Project. It was originally installed at the old Central Grammar School. “Protection of Fishing,” the last mural painted for the Gloucester City Hall, was painted in 1942 with funds from the WPA Federal Art Project.